This Blog is a mini guide to what is happening on the Greek Islands Adventures website. -- Read any other snippets of information related to having a great time in the Greek Islands. To subscribe to the blog just right click on the orange RSS button (no e-mail necessary!) and then paste the URL into your RSS reader. 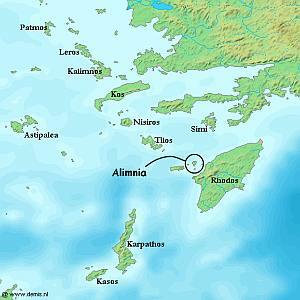 Continue reading "Alimnia Island Ownership"
Continue reading "Alimnia Island. An abandoned Dodecanese Island near Halki"
Continue reading "The Ionian Sea and Islands"
Continue reading "Greek Islands News and Commentary"
Continue reading "The Greek Language - How to get by and say a few things"
We had a report back from a baker of Mrs. S Bishop's Cake that it was crunchy on the outside and soft on the inside (as in Armadillo). So after a quick review Mrs. S has changed the cooking temperature. Sorry to those who had an unsatisfactory cake. Continue reading "Report of Armadillo Bishop's Cake"
A bit of finger trouble on that last item! I am starting to build in a new look to the website so don't be surprised if the background changes when navigating around. Hopefully all will be consistent in due course.